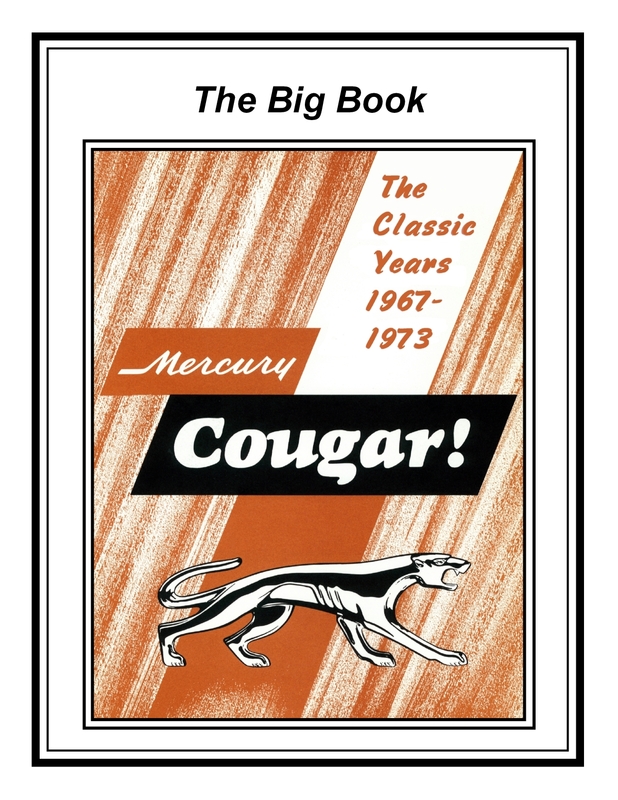 As the Editor for the Cascade Cougar Club, Don Skinner spent seven years gathering information on our beloved Cougars and putting the information into seven magazines, one for each year, 1967 – 1973, as 40th Anniversary publications. Some of our well known members of the Cougar Community urged Don to produce a Big Book of Cougar with all the articles included in one book. He started putting the articles together and finishing up the remainder of the articles he had not published yet. He also contacted some members of the Cougar Community and requested that they write specific articles for him to help round out the Cougar Story. 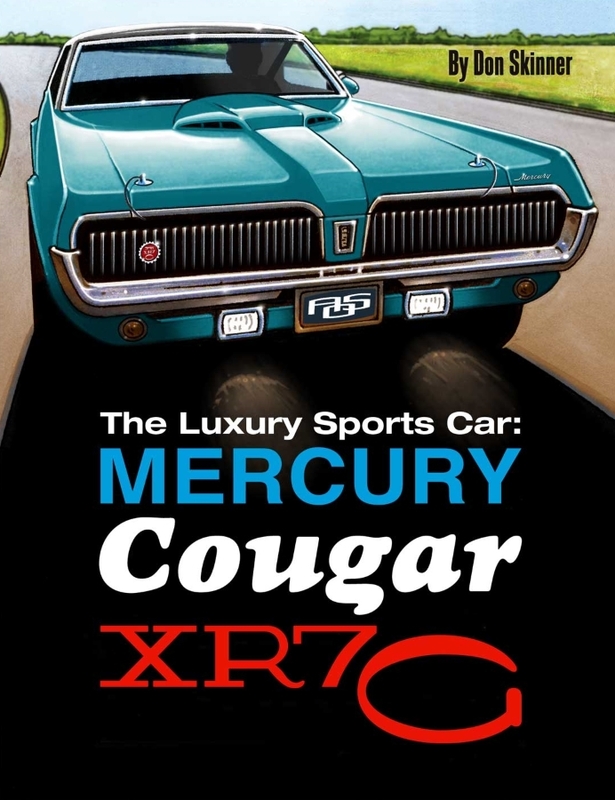 All of those people responded and we now have THE most acurate and comprehensive book on the Mercury Cougar. The book is 8 1/2 x 11, all color and 192 pages cover to cover, with almost a half inch spine. Many of the original articles have been worked over with some new pictures and text. This is a book you would be proud to have in your collection or on your coffee table. The price is $34.85 plus $7.20 for mailing expense (US Dollars). If you'd like one . . . or more, just send Don an email at donsk@frontier.com to let him know what your order will be. Postage for multiples will be calculated for each requested order. Personal checks and PayPal can be used to purchase this book directly from Don. 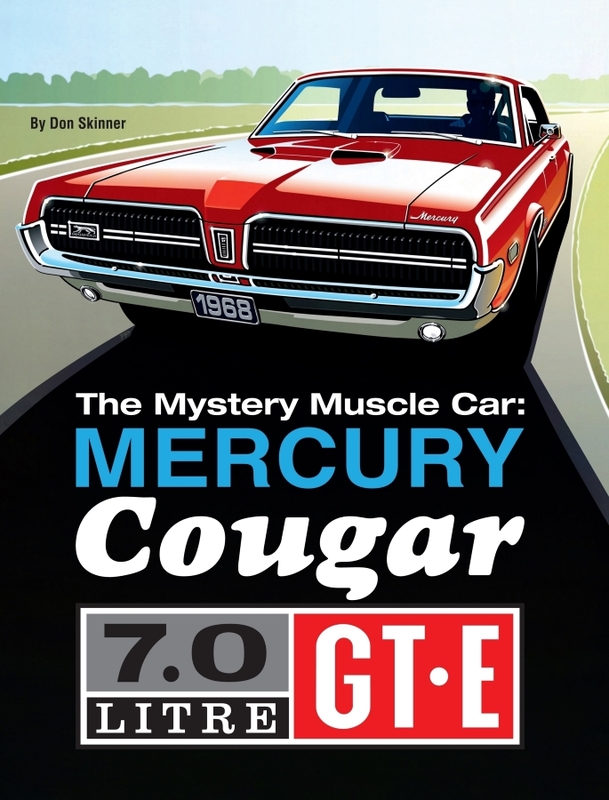 The most complete book on the Mercury Cougar 7.0 Litre GT-E. Two years in the making, this book includes information on the pre-production cars, the Shelby connection and many other interesting facts and information. Sprinkled throughout the book are captivating pictures of owner's GT-Es. Also included is the most complete special parts lists for the 427 and 428 versions for the "E". The GT-E book is $39.85 and that includes postage within the U.S. of A., just send Don Skinner an email at donsk@frontier.com to let him know what your order will be and how you'd like to purchase the book, personal check or PayPal. In the works and should be ready for ordering by summer 2018, the most complete book on the XR7-G. Again, Don Skinner has been busy collecting material, requesting information and articles and writing about the XR7-G.
Each part that makes up this special and rare option is highlighted. Once upon a time there was a special order pink "G".